The Joint Knife is used for drywall taping, fastener spotting, and angle taping. It has square corners necessary for corner work. 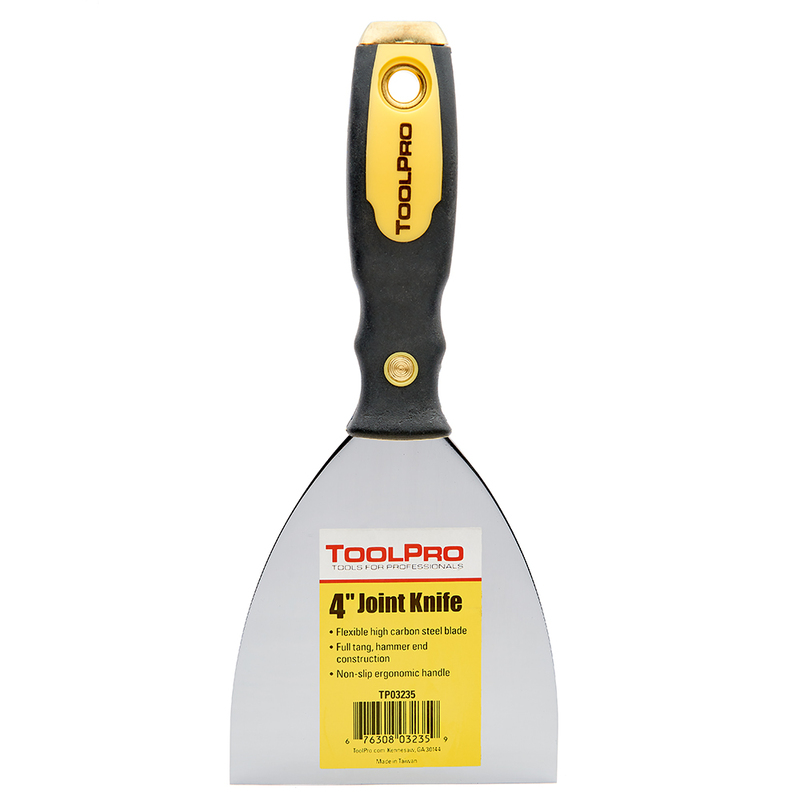 The Joint Knife is one of the most indispensable tools for the paint and drywall professional. 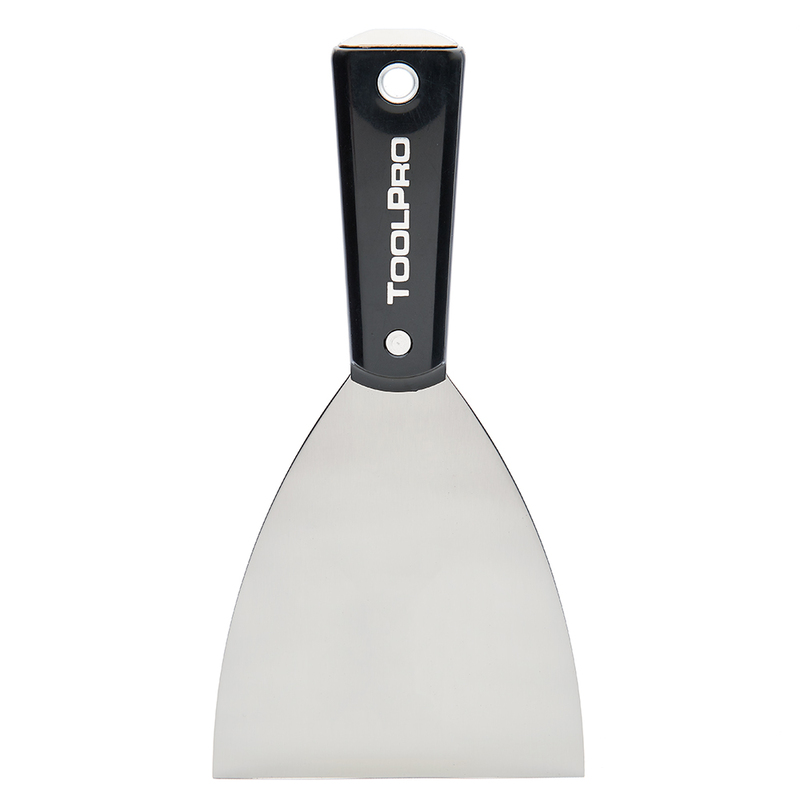 It can also be used for many other general purpose spackling, puttying, and scraping jobs. Flexible hollow ground high carbon steel blade. Zinc alloy hammer end for setting drywall nails. Solvent resistant contoured nylon handle. Label is easy to remove. No scraping!